LG Mobiles have plans to greet its customers with two LG Cookie handsets this festive season. LG Cookie Snap and LG Cookie Glide are the two handsets to launch in the coming month for the Indian handset market. LG Cookie Snap GM360i is a touchscreen device with 3” wide display. This phone packs ultimate multimedia features as 5MP camera with flash, music player, video player & recorder besides a FM radio. Its 32 MB of internal memory can be easily expanded to an upper limit of 16GB via a microSD card slot. LG Cookie Snap has some more advanced features to flaunt and these are its connectivity features. It has WiFi, Bluetooth, GPRS, EDGE, USB connectivity. These all together makes it an excellent connectivity phone. But there is more and the phone also let its users enjoy push email, one touch access to social networking sites with SNS widget. There is Opera Mini browser for browsing and MMS are editable. 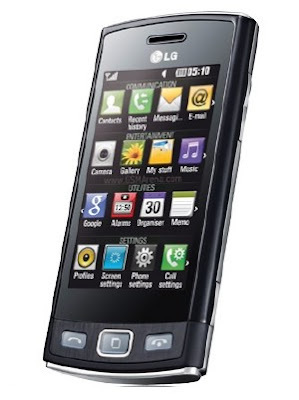 LG Cookie Snap GM360i price is yet under wraps. The LG Cookie Glide GT350i is the other Cookie handset to launch soon in market most probably at a price around Rs.8000. It is a sleek messaging and multimedia gadget. 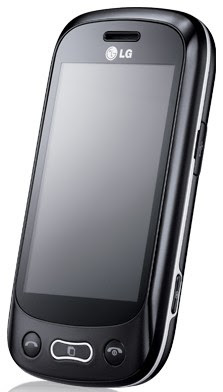 Its features are easy to use such as its integrated MP3 player and 2 MP camera. Its connectivity options are also excellent with inherent Wi-Fi capability in the handset. Its looks and design are fascinating since its 4-row QWERTY slider. The touchscreen of LG Cookie Glide is as wide as 3” and that makes the joy of watching videos and playing games on it unmatched. Also, its UI is capable of integrating and giving flawless access to SNS like Facebook and Twitter etc. All the information from these sites can be gathered on one screen and kept track of. Users check status updates and track friends on the move. It gives freedom of uninterrupted connectivity to its users. These two Cookie phones are great choice for youth as their every feature is oriented towards meeting their needs and demands. For instance, these phones are powered with BlacMail, the push mail solution offered on these LG phones for the ease of connectivity and also saves money due to reduced data charges. Many more special features have been incorporated in these handsets to amuse youth.